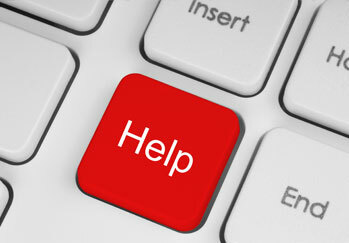 One of the best tools Intermedia Group Inc. has to offer is our support service. We employ fully trained and certified technicians that are prepared to meet your needs every day. In addition to the high quality of service that is available, we offer price breaks for purchasing time in advance with our Service Retainer Contracts. This locks in a premium hourly rate on all service and support calls, and allows a quick 4-hour technician response time whenever you have a problem. Computer systems and technology plays an integral part in the business world today. Intermedia Group Inc. provides several solutions to ensure our clients are well equipped with the necessary tools to compete. Through our computer maintenance service, our clients know that their network has been hardened against intrusion, their data is being correctly protected by backup procedures, and their antivirus software provides the best possible protection. Intermedia Group Inc. can perform monthly routine computer maintenance to ensure the highest level of productivity. Intermedia Group Inc. offers services clients can use to help assure their systems are kept up-to-date with the latest security updates for Microsoft Windows, Microsoft Office, and other major software for their servers and workstations. Intermedia Group Inc. can perform monthly routine computer maintenance to ensure the highest level of productivity.